This is what we call a clotted picture. 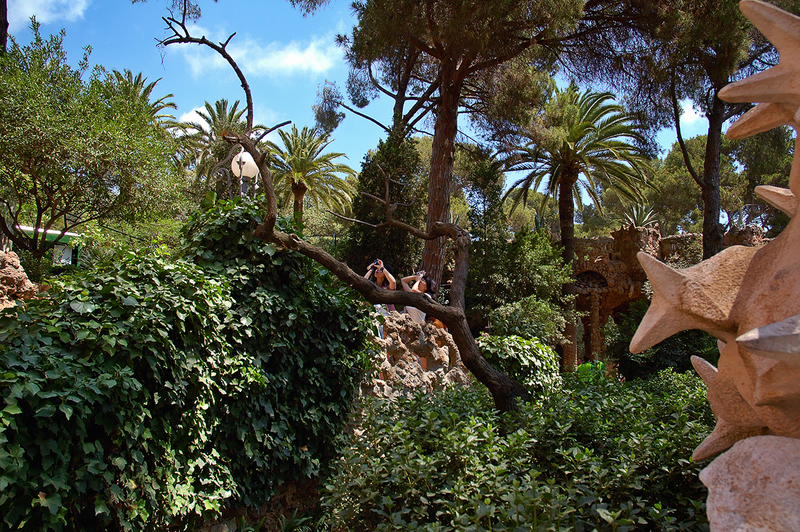 You might as well try looking for Wally, or in this case, a couple of Japanese tourists in the middle of the exuberant vegetation of Park Guell gardens. You don't see what they are pointing their compact cameras at but I can tell you: it's the house where Antoni Gaudi used to live when he was building Park Guell which is a museum nowadays. So very cool! As I've only recently learned about Antoni Gaudi, this is a tasty tidbit of info and a lovely shot.